Agreeing in principle that filing a false affidavit in elections is a corrupt practice which should be taken seriously, the Supreme Court on Monday said it cannot, however, direct Parliament to legislate on it. 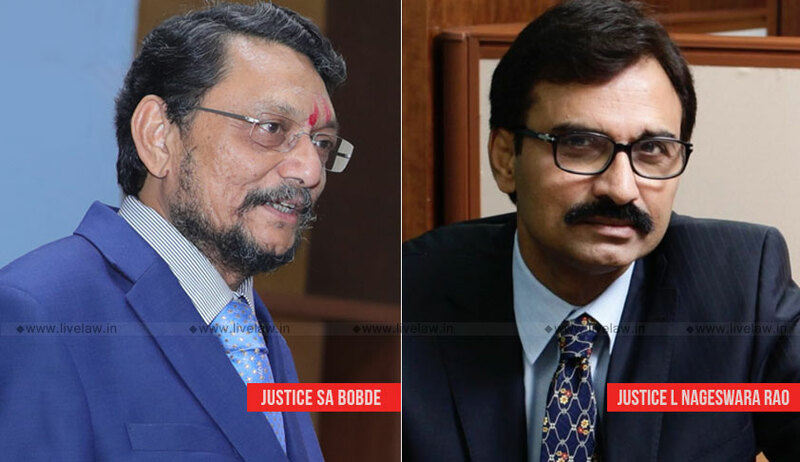 A bench of Justice SA Bobde and L Nageswara Rao said so while hearing a PIL moved by advocate Ashwini Upadhyay seeking directions for making the filing of false affidavit in elections an offence. The bench tagged Upadhyay’s PIL with another PIL which had been moved by Public Interest Foundation (PIF), Common Cause and others in the year 2011 against criminalisation of politics by debarring persons charged with serious criminal offences from contesting elections and expediting the disposal of pending criminal cases involving Members of Parliament and state legislatures. In his PIL citing nearing elections, Upadhyay sought directions to the Centre “to make false statement or declaration before the Election Commission, Chief Electoral Officer, District Election Officer, Presiding Officer or other similar authority, an electoral offence, in line with the Important Electoral Reforms proposed by the Election Commission of India”. During the hearing, the bench said, “We are not saying you are wrong, but it is Parliament's domain of legislation. Why should we direct, let the people legislate…We agree with you in principle that the affidavit should be treated seriously. We agree with you on morality, but we cannot direct for a legislation. We cannot direct Parliament that they should include it in corrupt practices”. Upadhyay also relied on the recommendation of the Election Commission of India made on February 3, 2011, to amend Section 125A of the RPA, 1951, to provide that any complaint regarding false statement in the affidavit in connection with the nomination paper shall be filed before the Returning Officer concerned within 30 days from the date of declaration of the election and that it shall be responsibility of the RO to take proper follow-up action. Alternatively, a complaint can be filed directly before the Magistrate. He said the ECI has time and again stressed on the importance of candidates filing true information in their affidavits. The filing of false affidavits in matters of election can have extremely serious consequences as it affects the purity of elections and in order to make an informed choice, the elector has right to know the correct information of the candidates. The PIL has now been tagged with Petition No. 536/2011, which is the one filed by PIF, Common Cause and two others in which the petitioners pressed for the effective implementation of the court’s order of March 10, 2014, for time-bound disposal of pending criminal cases against sitting legislators and covers areas like setting up of special courts for dealing with criminal cases against parliamentarians. The hearing in this petition concluded on August 28.